Toddlers are amazing creatures. Every day, they’re learning something new. Their energy is unrivaled, as is their curiosity. They can be capricious, a great source of joy, and even occasionally irritating. Thankfully for most parents, there is that one time a day when the toddler packs it in for a little while and lets the world go by: nap-time. Yet, nap-time isn’t always an easy thing for little ones. Sometimes, that energy and curiosity gets the better of them, and they just won’t seem to stay in bed. Start with the right frame of mind. Remember that your toddler isn’t trying to be defiant. Something is keeping him up. It might be that he’s not tired. It might be that he’s interested in some new toy, or even some new idea. In some cases, he’s simply in the mood to cause a little bit of toddler mischief. Always check your own attitude, and recognize that while you might feel frustrated, in the grand scheme of things nap time trouble isn’t a big deal. Know when your child will go down from two naps per day to one. Statistically speaking, most children will go from two naps to one per day sometime between 12 and 18 months of age. Some children last longer, and others may consolidate their nap time sooner. If your child is in that range or older and seems to have lots of nap time trouble, it may be time to drop down to a single daily nap. Recognize temporary changes. When your child’s schedule changes, her nap activity is likely to change, as well. It could be that she’s started pre-school, and now has to be up an hour earlier than what she used to get up. While you might think this means that she’d be more ready to take her nap, the opposite is often true. These simple changes can really throw your toddler for a loop, and make it actually harder to fall asleep at nap-time. Recognize the best times for a nap. A toddler is most likely to be tired during the same time of day you are – right after lunch, when his belly is full. If at all possible, try to schedule nap-time around your toddler’s natural rhythms. Consider doing some of the same things you do at nighttime, such as creating a calm, dark, quiet environment, or even reading a story as she goes to sleep. Learn to be flexible with your child’s nap schedule. Most children function best on a fairly regular routine. That being said, the fact of the matter is that some children’s rhythms can vary from one day to the next. Recognize those times when your child simply isn’t tired, and let him get up for half an hour or so. Give it a try later on, and you might be surprised to find he goes right to sleep. Watch out for extra sleeping. If your child falls asleep in the stroller during a morning trip to the mall, don’t be surprised if she’s wide awake at nap-time. That doesn’t mean you should keep her from falling asleep during those off times, but it also means you need to be a little more willing to skip nap-time when that happens. Know when your child is ready to give up naps altogether. This will vary greatly from one child to the next. 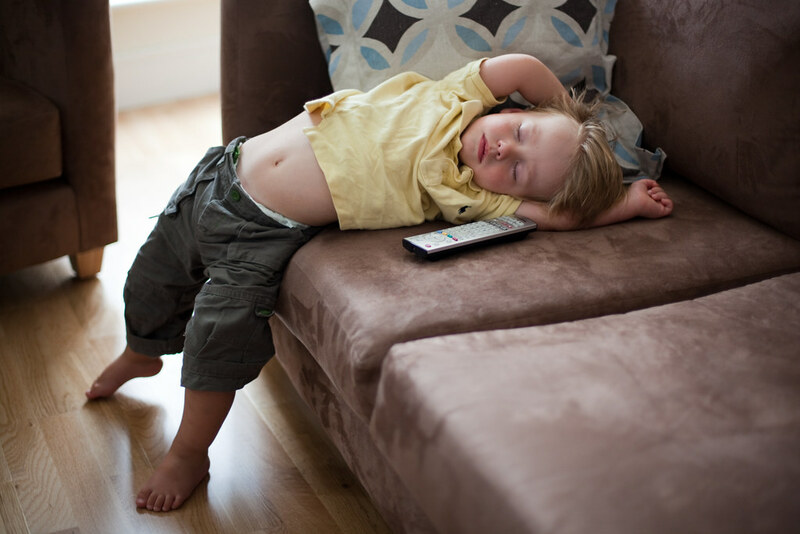 At 24 months, four out of five children are still taking naps. By the age of three, that is down to three out of five. A quarter of children who are four years old still take naps every day, and around 10 percent of children that are five years old take naps, too. Don’t pressure your child to give up naps, but be ready for when it does. When your child can go for a couple of days with no naps yet still have consistent behavior, it’s a good sign that nap time may be over for good. Toddler nap time troubles can be frustrating, but they don’t have to be a big deal. Follow some of these steps and you’ll not only help your little one get the rest she needs, but you’ll also know when it’s time to change her schedule to eliminate naps. Greg Robinson is the Social Media Coordinator at Vuezone.com, a completely wireless personal remote video monitoring network that is often used as a pet cam, nanny cam, or just to keep an eye on what you care about most while you’re away.